Click on the desired agent to access the details page. 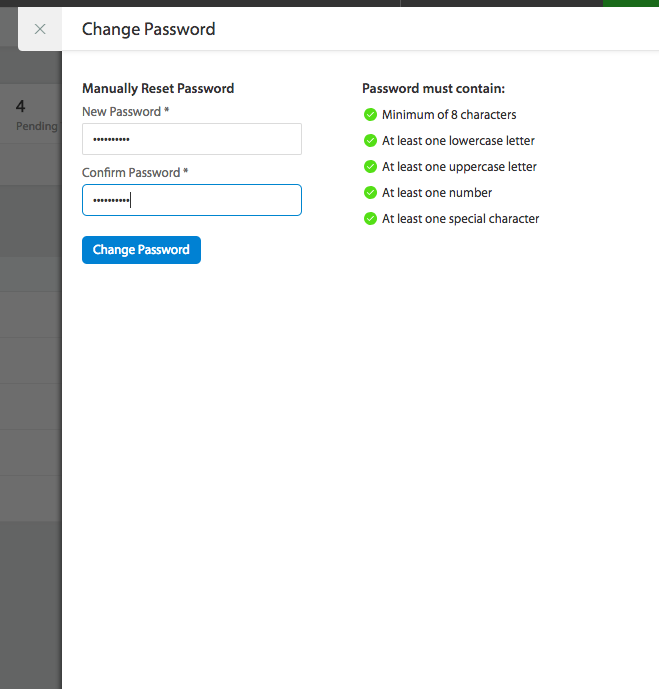 Click on the “Change password” option to initiate the password change. You will be prompted to re enter your password for authorisation purpose. On successful authorisation, you can view the change password sidebar. Enter the new password and click on “Change password” to save. Note: To edit your own password, refer to this article.